I love a good brow. They are my absolute favorite thing to highlight on myself and I rarely leave the house without doing something with them. I get a lot of questions and comments regarding my brows so I thought I would do a post to talk specifically about what I use to “do” my brows. 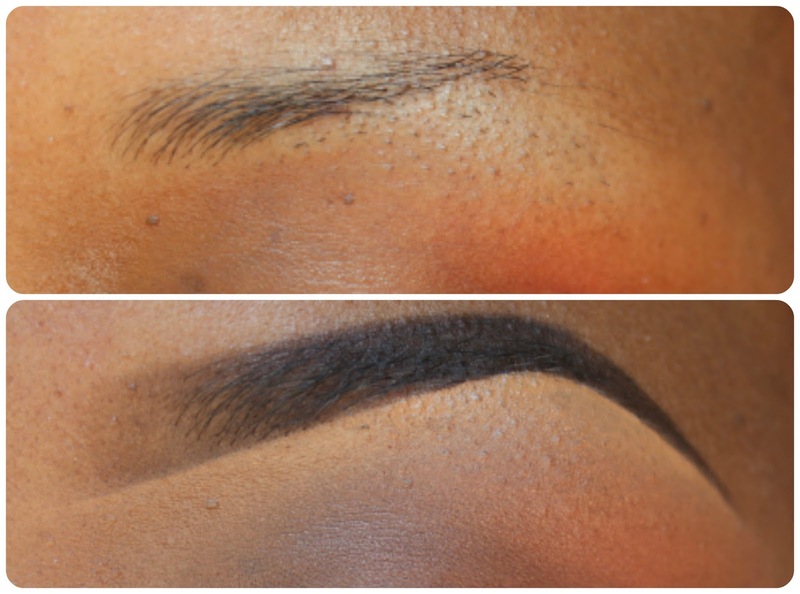 I have very sparse brows so this method really works for me and my brows stay put all day! My absolute favorite brow product is Make Up For Ever’s Waterproof Eye Brow Corrector in #4 (which has been discontinued much to my dismay). A comparable product would be the Make Up For Ever Aqua Brow or the MAC’s Dipdown Fluidline. I fill in my brows 99% of the time using the Brow Corrector. However, when I’m in a rush, I will simply use a brow pencil. My preferred pencils are MAC’s Brow Pencil in Spiked or Stud. I typically clean up underneath my brows using MAC’s Studio Finish Concealer in NW40. I do not use concealer above my brows. I usually just clean that area with razor contouring. I also trim my brow hairs with brow scissors. Hope you found this post helpful! Let me know if you would like to see a step by step pictorial! Great post I got a sample of NW40 Pro Concealer and I have been recently using that for under my brows to highlight. @MissDre Thanks! Working on one today! @SheerBeauty Working on it today!